Trey Mancini(DH-Bal): TM went 2-for-4 with two solo homers vs. the White Sox. While Mancini struggled mightily during the early part of the season, he has picked it up as of late and is now within one homer of last season's total. Looking at the batted profile and plate discipline numbers, the major difference between the past two season's lies within his counting states (which we can chalk up to poor supporting cast) and BABIP, which looks partly due to natural regression and partly due to bad luck. Look for his BABIP to fall somewhere in between where it has been the past two seasons; add that to a better supporting cast, and he could produce solid value in 2019 for a pick that likely won't cost much. Omar Narvaez(C-Chw): The catcher went 1-for-4 with a two-run homer against the Orioles. The 26-year-old has been seeing semi-regular at bats for the first time in his MLB career, and I must say, I like what I see. While there isn't much power in the tank (I see 10-12 per season as his max), Narvaez commands the strike zone well (23 percent chase rate, 11 percent walk rate) and makes consistent contact (84 percent). His issues against LHP's have continued, although I do believe he has the talent to put it all together if given the reps. Pencil him in as a sleeper for a value play as a #2 catcher next season. 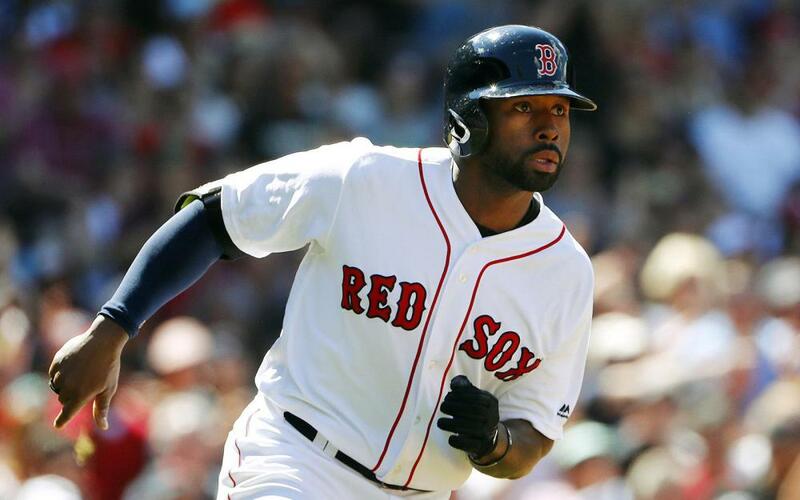 Jackie Bradley(OF-Bos): Bradley went 0-for-2 with a walk and a stolen base, his 15th of the season. Bradley has settled into the 88-89 wRC+ the past two seasons after posting a 118 mark in 2016. What has happened? Bradley is getting beat more often in the zone (zone contact down four percentage points from 2016) and his swinging strike rate has risen to 13 percent. A glance at his performance against pitch types indicates an alarming trend too: anything with a wrinkle is negative. In other words, the book is out against Bradley. He is 15 for 16 in stolen base attempts, and plays great defense, which will enable him to see plenty of at bats. However, he's more valuable in daily transaction formats with 14+ teams where he can be used against RHP's and when on a hot streak. Buyer beware. Dee Gordon(OF-Sea): Gordon was 0-for-2 with two strikeouts batting out of the 9-spot against Matt Shoemaker last night. Such lineup positioning has been warranted given his 1.5 percent walk rate, and it's hurt his counting stats (57 runs vs. 114 last season!). While he has been unlucky with the BABIP, I don't believe that explains the entire collapse in his batting average. And with that, the stolen base opportunities and attempts have decreased considerably. He did learn a new position which is more demanding on his legs, but at 30 years old, I don't know how much of a positive bump we can expect next season. Buyer beware. Jake Cave(OF-Min): Cave looks like a solid tournament play today on Draftkings for his matchup against Ian Kennedy. The LHH has eight homers in 177 at bats vs. RHP's, including a 38 percent hard hit rate. Ian Kennedy has allowed a 41 percent hard hit rate to LHH's, and while his splits don't look bad on the surface, he has been fortunate against them by allowing only a 9.8 percent HR/FB rate. Cave has crushed fastballs this season, while Kennedy is posting the second worst pitch value on that pitch in his career (-8.2). The neutral environment and the deceiving splits (along with the risk with Cave) may leave him underowned, but I believe he and the low price Twins bats make for great plays today.